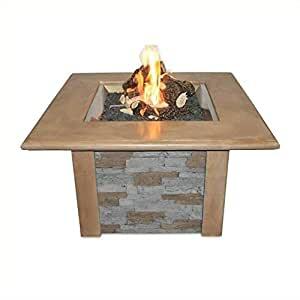 The Fire Pit is made with outdoor rated faux ledgestone. Our new square burner is a great new look that is U/L Listed. The durable supercast top looks great and stands up to the outdoor elements.